The best keyword research tool...really! Bloggers need to get on board with SEO to drive more blog traffic. To develop a successful SEO strategy for your blog, you need to choose the best keywords to rank for on search engines. Considering that there are millions of blogs out there, you need everything you can do to deliver your content to your target audience much easier. And this is what SEO allows you to do. By ranking atop search results for a specific keyword, you will get the most clicks — 30%+ to be exact — from users, thus boosting your organic traffic. The image is taken from “Google Organic CTR Study 2014” by Advanced Web Rankings. Click here for more information. However, you simply cannot choose a random keyword that you can think of the top of your head. Choose keywords with low competition – Find keywords where you feel you can make a better page than the ones ranking on the first page for them. Find keywords with high search volume – Find keywords that are searched the most times during a month locally or globally (depending on the location you are targeting). Go for potentially high conversion rate – Find keywords based on user intent. Identifying this will allow you to understand how you need to write your content and optimize for your keyword. Most of these criteria are met by long-tail keywords. First off, there are two types of keywords: head term and long-tail. Head term keywords are composed of one to two words, have high monthly search volume, and are tough to rank for in search results. Long tail keywords are composed of at least four words, have low monthly search volume, and are much easier to rank for. Based on the table above, long-tail keywords hold a distinct advantage over head terms regarding the organic search. Long-tail keywords allow you to optimize keywords that are specific and are easier to rank. Granted, this keyword type has drastically lower monthly search volume. However, the more specific the keyword you are optimizing for, the better conversion you will have with your content. After all, it is not always about the search volume! Simply put, long-tail keywords are much more difficult to find without using a paid tool. Two of the best free keyword research tools, Google Keyword Planner and Ubersuggest, can help you find the best keywords based on search volume. 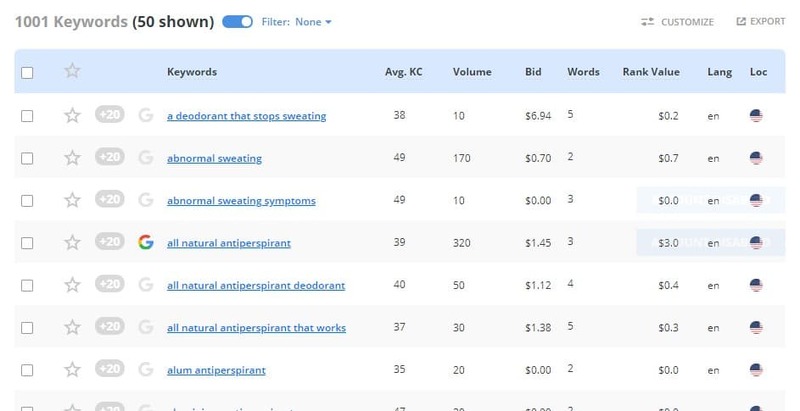 It is possible to filter keywords based on other factors such as keyword difficulty as I have detailed in this post at RankPay. 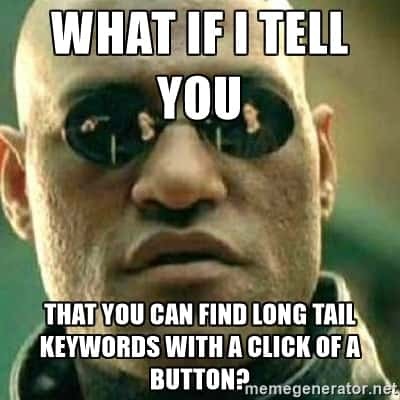 However, and I can honestly say this through experience, manually conducting long-tail keyword research will take too much of your time. You will be forced to use different free tools to cross-reference information until you come up with the best keywords to rank for. Instead of writing and promoting your blog content, you will spend hours — if not days — through your keyword research! If only there is a way for you to conduct keyword research in a shorter amount of time. Note from the Editor: All links that point to Long Tail Pro are affiliate links. If you click on the links and successfully subscribe for an account at Long Tail Pro, I will receive a commission of the sale. If you like the tool, then I would highly appreciate it if you sign up to Serpstat using any of the links here or by clicking here. Thanks! Long Tail Pro is the long-tail keyword research tool. Lots of marketers like Matthew Woodward and Louie Luc attest to how indispensable Long Tail Pro is as part of their keyword research strategy. However, as a blogger, do you need this tool? Not to sound like a broken record, but you need to learn SEO to increase your blog traffic and build your readership. And the foundation of a solid SEO campaign is choosing the right keywords for your blog. Calculate keyword difficulty – Instead of toiling most of your time analyzing keyword difficulty, Long Tail Pro will take care of finding it for you! Determine metrics – Find the most relevant SEO factors that will help you get a better idea about a keyword. Advanced filtering features – Organize your research by filtering out the needless information who you can analyze the data that matters to you. Obviously, these features would not mean anything unless I show them to you. So why not we proceed with using the tool so you can get a better idea on how Long Tail Pro works. Ease of use – Does the tool make my job easier? Effectiveness – Does it do the job as advertised? Cost – Is it worth it? Do the results I get from using the tool compensate my payment for it? Customer support – Do I experience problems with the tool? Is the support team help me solve the problem? If you’re liking Long Tail Pro so far, then I suggest that you take advantage of their 30% OFF PROMO before it’s too late. CLICK HERE if you want to learn more about it! Once you have set up your account, you need to download the file and install it to your hard drive. The instructions will be included in the email that will be sent to you once you sign up. After opening the tool, you will need to create a project where you will conduct your keyword research. To do that, click on the plus button. Fill out the details in the floating window. Once you’ve created a project, you can enter the domain name of your site that you want to search for keywords. To find keyword suggestions for your site, you must enter the seed keyword. But before you do that, you need to confirm the country of the database from where you want to scrape data. By default, you will draw information from the Google United States. To get the most accurate data to your country (if you’re doing local SEO) click on the drop-down menu to change the country. Once you’ve confirmed this, go type the keyword on the Seed Keywords bar. It’s best to enter head terms (search phrases will two words max) so you can unearth more keyword suggestions. Enter up to five keywords to search for this part. For each keyword, you can assign the number of suggestions. You can increase the number of suggestions the tool will unearth for you from each search. The number of total suggestions depends on your chosen plan. If you want to get granular with the keyword results, you can toggle the Advanced Options switch. Flip it to see more search options. Monthly searches – Find results based on the range of monthly searches the keyword has. Suggested Bid – Only see keywords according to the range of bids it gets on Google Ads. Advertiser competition – Reveal keywords based on how competitive they are. Give the tool a minute or two to deliver the results for your search. Now to discuss the exciting part about the effectiveness of Long Tail Pro. Among the factors in the results, two of the most important factors that will help you determine which keywords to choose for your blog are the Words and Avg KC (keyword competition). 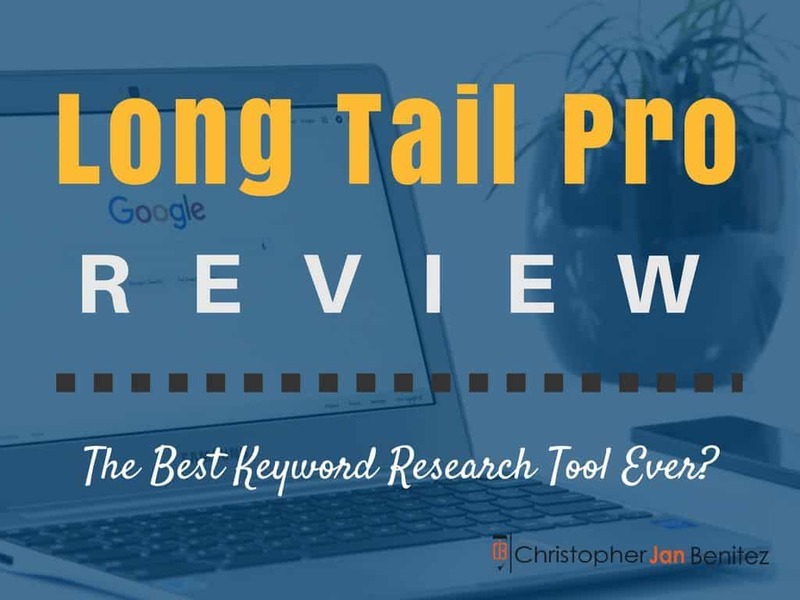 As the name of the tool states, Long Tail Pro will help you find the best long tail keywords for your blog. The Num Words filter will help you find long tail keyword ideas that you can use to help optimize your content. Normally, you should look out for keywords with at least four words, which is the prevailing minimum for a long tail keyword. Once you have filter the long tail keywords, it is time to determine the difficulty on how to rank for these keywords. Wrapping your brain around these factors and mining for these data will take you days. However, through the Avg Keyword Difficulty, Long Tail Pro will help gather and computer these factors for you and provide an aggregate difficulty score for each keyword! You can get down and dirty with the data used to calculate for the keyword difficulty by opening the first 10 SERPs for the keyword. To analyze the keyword’s Keyword Difficulty, click on the keyword. It will load another page for you that shows relevant information about the keyword. From the image above, you will see the different factors that determine keyword competitiveness. Also keep in mind that the higher the KC, the more difficult it will be to rank for that keyword. Therefore, you should go for keywords with low competition or with a KC score of 0-30. Anything higher than that will take much more effort for you to rank. While Keyword Competitiveness is not the be-all-end-all metric to determine the difficulty of ranking for a search term, it is a good barometer to measure which keywords to choose for your blog’s SEO campaign. At the same time, it would still be good practice to open the pages yourself and see for yourself what makes the pages rank for their respective keywords. Do not rely solely on LPT’s Keyword Difficulty feature, no matter how useful it may be. Scrolling down the page, you will see the top 10 pages ranking for the keyword on your chosen Google database. It also includes different factors to help you parse through each page accordingly. As mentioned, as help KC is in helping you research for the best keywords, it’s not the only metric to check. From the screenshot above, you can see variables like Flow Metrics, External Backlinks, and others to help you determine the quality of the pages ranking for the keyword. Go for long tail keywords – While they have historically lower search volume compared to head terms, long tail keywords have a more transactional search intent in nature. Therefore, ranking high for these keywords increases your CTR from search results and will drive more blog traffic. Choose keywords with low competition – Refer to LTP’s Keyword Competitiveness score to help you choose which keywords to target for your blog. For best results, find keywords with a KC that ranges between 0-30. 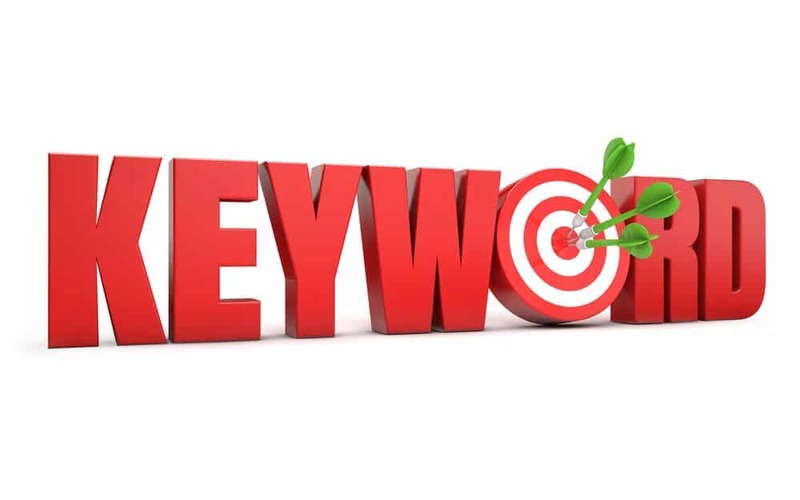 Find keywords with high search volume – Choosing keywords with relatively high search volumes increases your chances of getting found on search engines. Liking what Long Tail Pro can do for your site or blog? That’s great because instead of getting LTP for its retail price ($37/month), you can subscribe to this awesome keyword research tool by paying $27/month instead! Think about it – get the most relevant data to determine which keywords to optimize for with just a click of a button, at a very low price! Click here to get your 30% OFF! Long Tail Pro has been associated as a keyword research tool throughout the years. However, the competition stepped up the plate and have been taking a slice of the pie that Long Tail Pro once dominated. To help you manage the performance of your site’s organic SEO, you can track the keywords that you optimized for your site pages and find where you stand on organic search. Enter the keywords and domain you want to track. Also, identify the database to want to pull data from based on search engine and location. By default, you can track your keyword ranking daily. Using this tool, you can stay on top of your keyword ranking and make the necessary changes on how to improve your position! The quality of a site’s backlinks is arguably the most crucial SEO factor. The better backlinks your site (or competitor) has, the better chances your site will rank higher on organic search. Long Tail Pro now helps you track the backlinks of any domain of your choice! Enter the domain on the search bar to reveal the total number of backlinks and referring domains to the site. The results include pertinent data of the referring domains. Use the information here to monitor new and lost backlinks of your site. At the same time, you can also spy on your competitor’s link building strategy based on the links they’ve acquired so far. This feature is possibly the best addition to Long Tail Pro. Since backlinks have an indelible effect on your site’s ranking, you can just check its link profile. You can then connect the dots by yourself – for instance, there’s no coincidence that the site increased its ranking for a keyword after acquiring a link from a site with high Flow Metrics. Spy the competition more effectively by analyzing the SERPs for your keyword. It basically works the same way when entering your seed keywords and looking for suggestions. But with this feature, you need to enter the exact keyword that you want to analyze. Then it immediately jumps to the top 10 results and delivers you information about each. Given that it only does keyword research (and does it quite well), the pricing is, at the very least, fair. The price has stayed the same with the addition of the backlinks analysis feature. Click Here to Sign Up for Your 10-Day Trial of Long Tail Pro! This is not a knock on Long Tail Pro because it does not pose anything more than just a keyword research tool. However, in today’s world of SEO, more tools are offering other features that provide a more immersive experience to users concerning SEO. You could say that Long Tail Pro is stuck in the thinking that it’s enough to do one thing really good. Others like to keep things simple. Regarding simplicity and straightforwardness, Long Tail Pro fits the bill. However, some might disagree with this sentiment, as evident with tools like SEMrush, Ahrefs, and Moz. Long Tail Pro puts a cap on searching for ideas using seed keywords. Depending on the plan you chose, you can only search 800-6,000 total ideas in 24 hours. I understand putting a limit on searching for keyword ideas. But it staggers your keyword research especially if you’re deep in your research. You’ll have to wait 24 hours before you can begin searching again. As good features Long Tail Pro has, the same cannot be said about the actual tool. I have had multiple incidents with their support team about duplicate billing, my account getting canceled without me knowing, and my license not working, to name a few. Above is the photo of the billing statement I received from the bank about the duplicate payment for Long Tail Pro. To their credit, Long Tail Pro was able to assist me with this particular issue. While their support team was not able to provide a refund, they instead offered a discount for the succeeding months if I continue to subscribe to them. However, you have to look at this situation based on what your business needs. To be honest, I do not take too much time researching for keywords. But if you are a small business working for different SEO clients, then instances like this can prevent you from providing your clients with a consistent experience for SEO. Not to mention, it might leave a bad taste in your mouth especially if you are used to manning a steady ship. UPDATE: Long Tail Pro seems to have ditched the local software. Now, you need to sign in online to use the tool, which seems to have made the toll less buggy. Long Tail Pro is an indispensable tool for your keyword research strategy. It will help you find long-tail keywords in the most efficient and convenient way possible. The tool is best used by niche marketers who are in the business of building and optimizing sites for the most profitable keywords. As discussed above, Long Tail Pro is also a great tool for bloggers to help them identify long-tail keywords for blog posts and find ideas that they can tackle on their blog. However, if you are looking for a more comprehensive SEO tool that can do more than just keyword research, then I suggest you look for other tools. Also, you may want to be cautious with its support team. From my knowledge, Long Tail Pro was sold by its original owner, Spencer Haws, so I would assume that there are kinks the tool will have to iron out during the transition process. At the same time, I have talked to other Long Tail Pro subscribers who never have had experienced any problems with their support. Nonetheless, I strongly suggest that you should be wary of subscribing with the tool until you have proven itself to be reliable enough for long-term use. Ease of use – 9/10 Long Tail Pro helps you take a tedious task that takes a chunk of time into an automated process that takes a couple of minutes or hours to finish. Effectiveness – 10/10 While I suggest that you still need to manually evaluate the keyword based on the data provided by the tool, Long Tail Pro provides all the information you need for finding the best long-tail keywords. Cost – 8/10 I am not the biggest fan of subscription-based tools, but Long Tail Pro’s reasonable pricing allows me to use its powerful features without breaking the bank. Customer support – 6/10 I have had bad experiences with the tool. The support team was able to convince me to continue subscribing with Long Tail Pro, but I can imagine more uptight bloggers to be turned off by some of the issues I have encountered. Long Tail Pro is offering 50% off on ALL Long Tail Pro plans – including monthly! That means customers can get plans as low as $18.50/month, or up to $269 in savings on annual plans. CLICK HERE TO GET 50% OFF ON ALL PLANS!